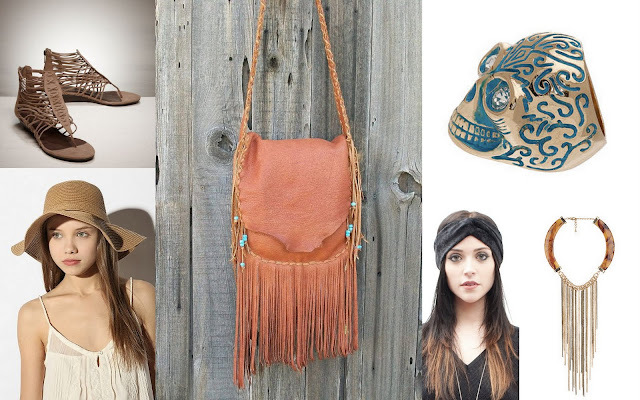 Boho chic is The Look for this summer. Think: floppy hats, loose skirts, fringe, and lots and lots of jewelry. It's a fun, playful look for the summer that will keep you feeling loose, cool and with the flow. For inspiration, check out the photos of celebrities at Coachella, or the Olsen twins daily street gear. Mind you, accessorizing is such an integral part of this look that it warranted its own section!